The key to successfully teaching the child is finding a very open-minded piano teacher who is happy to work alongside an ABA therapist. Once the teacher gets over the fact that using abstract analogies does not work as a teaching tool for children with autism, the learning can begin! A flexible piano teacher will soon internalize the behavioral techniques applied to learning piano and the therapist will no longer need to attend lessons. At the beginning, the child may have difficulty following instructions. For example, a talented child with autism may have very firm ideas about how a given piece should end; however, the child will have to learn and accept that one must play the piece as it is written e.g., Bach’s Minuet in G Major must end on G below middle C, rather than an octave above because that’s how Bach wrote the piece! Over time, the structure of music will help the child excel and the ability to play one instrument may often be generalized to other instruments. In addition to personal enjoyment, music also creates a socially acceptable, group leisure activity. From playing an instrument, to playing and modifying music tracks on a computer using an attached piano keyboard, 'MIDI' interface and composition software, the potential for leisure activities is high. In addition, through music the child can participate in structured activities with other children including school bands and orchestras. Now that you’ve mastered the strategy discussed in Autism and the Role of Music, we can now talk about the next steps. Note that the pre-requisite to the following suggestions is that the child enjoys music; otherwise, you are wasting your child’s precious time and may be deploying resources in an inefficient manner. the perfect piano teacher and taught your child the basic skills, he or she should be reading music and on the way to becoming an amateur pianist. Get ready for the next step: it is time to introduce a band instrument. That’s right... a band instrument. By sixth grade, most schools offer beginning band. If you can pre-teach the basics of an instrument the year before introductory band is available, then your child enters band considerably advanced relative to his or her peers and can probably learn with the rest of the class without having to be pulled out. Band classes typically progress very slowly. Since you’ve spent the last couple of years using the piano to teach rhythm, dynamics (e.g., louder, softer) and reading music, why change or add an instrument? It’s simple: piano is not typically part of a sixth grade band, particularly if it is a marching band! 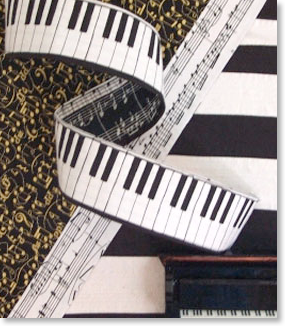 Although one can adapt the band for piano, I would not recommend it. That’s not a fight worth fighting. Which instrument to choose? 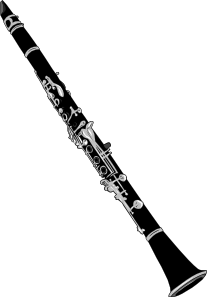 Alto saxophone or clarinet are the two best choices for several reasons; both instruments are generally played in a group of musicians playing the same instrument. There is rarely only one alto saxophonist or clarinetist in a band. In addition, reading the music is easy because the notes are only on one line rather than two (unlike piano in which the treble and bass clefs must be read concurrently). Since your child can already read music for the piano, reading music for a saxophone or clarinet will be considerably easier. An added benefit when it comes to autism is that when playing, both child’s hands and his or her mouth are engaged; therefore, there is less temptation to engage in self-stimulatory behavior. 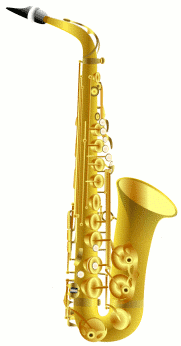 The saxophone and clarinet allow the child to join both a marching band and a stationary band. If you choose the saxophone, concert band and jazz band will be open to your child in high school; if you choose the clarinet, concert band and orchestra are opportunities open to your child in high school. You’ll be happy to know that sound is not extremely difficult to produce from either of these instruments. Therefore, the learning curve is not inordinately steep. Once your child is competent playing a band instrument, you’ve achieved the following goals: first, you’ve found a great peer group for your child. Generally speaking, the nice children gravitate to music. Second, you’ve established a wonderful, structured mainstreaming venue throughout the high school years. In addition, you’ve created an appropriate leisure activity that will last a lifetime. You’ve also manufactured a valued role for your child during the holidays since you can teach the child a holiday repertoire that will be requested year after year by a variety of people (i.e., family, friends, religious institutions). Finally, you’ve created opportunities that may lead to a possible career. 1) Researchers need to receive informed consent from parents who volunteer their children to participate in the study. These parents must want to have their children vaccinated; otherwise, they should not volunteer their children. The risk for this group is as follows: half of the children in the study will not be vaccinated as children in the community are using the typical schedule; rather, they will be required to wait an additional six months for one vaccine. The other half will be vaccinated as per the typical schedule. 2) The very large sample of children in the study must be from families with no history of autism. 3) All children in the study must be tested for autism on their first birthday, but before the MMR vaccine is given. Any child who shows autistic tendencies or autism must be excluded. 4) The children must then be divided into two groups. Half the children need to be administered the normal vaccine regimen aside from the Measles vaccine at 12 months (i.e. give an MR instead of an MMR). The other half must be given the normal vaccine regimen (including the MMR) at 12 months. 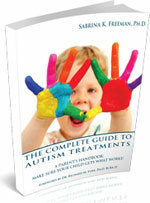 5) All children must be retested for autism at 18 months of age. Those who have autism (prior to the vaccine being given) must be identified (in case the autism was not identified at one year of age). We need to re-evaluate the children for autism as an additional safeguard that the development of autism has no relationship to the vaccine being administered. It is the children in the group that did not receive the vaccine that are of the greatest interest to researchers. 6) The Measles vaccine must then be administered to the group that has not yet received the vaccine. This group is receiving the M vaccine for the first time at 18 months (but after they have been assessed for autism twice, and autism has been ruled out). 7) Both groups must be monitored for adverse effects. 8) All children must be retested for autism 6 months after the Measles vaccine was given (on their second birthday). If the groups are equal in terms of the autism incidence, then we know that the Measles vaccine is not the cause of autism. We also need to measure whether even one child becomes autistic after the 18 month Measles vaccine was administered even though immediately prior to the vaccine, the child was tested for autism and showed no signs of the disorder. With a large enough sample, if there is an effect, it should become immediately apparent. No effect should also be observable. Using a design such as the one suggested above, it will be possible to determine that either 1) a causal relationship exists, or 2) no causal relationship exists between the Measles vaccine and autism. By introducing the variable of “vaccine” after ruling out autism, we are able to determine whether the vaccine causes autism, and is not just spuriously correlated with autism.